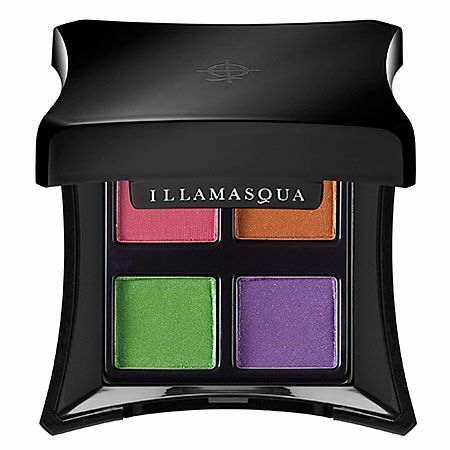 If you follow me on Twitter then you’ll probably have noticed that I have been ridiculously excited for Illamasqua’s new Paranormal collection. So why have I been so excited about this collection in particular? Well, that would be because I’m a Parapsychologist! If you’re not quite sure what Parapsychology is this covers areas such as ghosts, poltergeists, near-death experiences and out-of-the-body experiences and can extend as far as things like UFO’s and Bigfoot. However my area of interest is ghosts and poltergeists. I’m currently just finishing off my PhD in Parapsychology, which I started after being awarded a research grant from the Society for Psychical Research (SPR). If you’d like to know a little bit more about the SPR you can find their website here. Illamasqua have based some of their ideas for the new collection on Parapsychology and have named some of the products accordingly. It’s also apparent (well, to me as a Parapsychologist anyway) that the names of some of their existing products have also been based on the Paranormal. Two of their powder eye shadow shades are called Daemon and Incubus and one Intense Lipgloss shade is called Sucubus. The term Daemon means an intelligent entity which has never been human, such as fairies, goblins, elves and demons. An Incubus is a male demon who, well, umm…basically sexually assaults women while they sleep and a Succubus is the female version who assaults men! I haven’t actually seen any of the new products for myself yet, but details are available online after Illamasqua held an event last week to introduce the products. So I thought I would write a post to explain the meanings behind the names in the new collection. The Paranormal collection features four new nail varnish shades and also a new top coat. L-R Ouija, Seance, Geist, Omen. What is different about these nail varnishes is that they glow under UV light and the top coat can be applied over any nail varnish to also make this UV. You may have heard of the term Omen due to the film. I haven’t actually seen the film myself so I’m not sure what it’s about but the term Omen means some kind of message or phenomena which is believed to predict the future. As for the colour of the nail varnish, have you ever seen the film Ghostbusters? 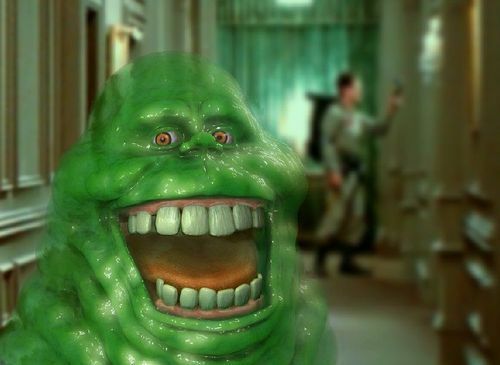 This handsome chap is Slimer! In terms of Ghostbusters, this bright green colour is the colour of Ectoplasm; a substance which is associated with the early manifestation of a ghost. In the film this looks like green slime but in reality this is thought to be more of a creamy coloured gauze type substance. Ouija and Seance are both methods of trying to communicate with the dead. Ouija involves using a board covered with letters and numbers and a Seance involves asking any ghosts present to speak, touch somebody or move something to show that they are there. Geist is a German word which when translated into English means spirit or ghost. The term Poltergeist basically means noisy (poltern) ghost (geist) as Poltergeists usually produce noises such as bangs, raps and taps and are generally disruptive. 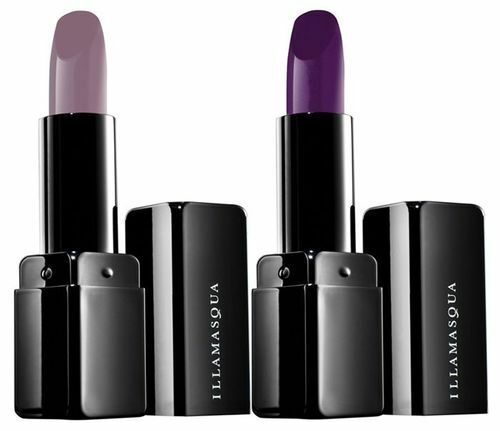 The collection also includes two new lipsticks, a lilac shade called Posture and a purple shade called ESP. I’m unsure where the inspiration came from for the name Posture because this is not a term I’m aware of within parapsychology. ESP stands for Extrasensory Perception, which is any method by which somebody receives information through the mind rather than the senses. This includes Precognition (seeing the future), Retrocognition (seeing something from the past), Telepathy (mind to mind communication) and Clairvoyance (seeing something you shouldn’t physically be able to see). Top row L-R Paranormal, Aura. Bottom row L-R Possession, Trance. The collection also includes a new Paranormal palette with one of the shades included also called Paranormal. Aura technically doesn’t really come under Parapsychology but is more Occultism or a Wiccan/Pagan belief. An Aura is a field of illumination surrounding a person or object which some people claim to be able to see. Different coloured Aura’s are thought to be an indication of feelings or illness. Possession is where a spirit, demon or similar entity takes control of a person’s body and there will usually be noticeable changes in their behaviour. Have you ever watched any Paranormal TV shows? Although they are less popular now there were many around a few years ago and investigators or mediums on these programmes would often apparently become possessed by a spirit and act strangely, sometimes violently. A trance is an altered state of consciousness (other altered states of consciousness include sleep and when somebody is hypnotised). Somebody who is daydreaming will look like they’re in a trance because they won’t be aware you’re there until you wave a hand in front of their face or poke them! The other products in the new collection include a gel eye liner called Infinity (not really a Paranormal term), a new Gleam bronzer called Supernatural (basically another name for Paranormal) and a new makeup base called Hydra Vale. Although Hydra Vale is not a Paranormal term the product itself appears pretty Paranormal! I believe this is like a gel but it comes with a little spatula and no matter how much you churn it up and break it into smaller pieces when left this settles back into a complete form with a smooth surface. Very spooky! 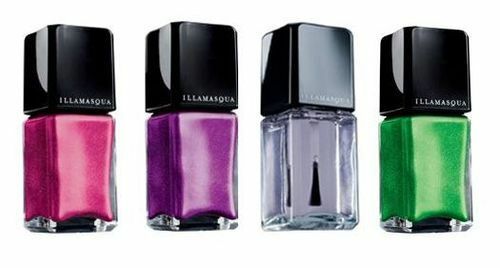 Illamasqua’s new Paranormal collection will be released tomorrow (30th April).